ELITE LEAN replaces the O.X. with An Innovative combination of Phenibut and Yohimbe HCL while keeping it`s core feel good and high-level weight loss properties like Alpha Yohimbe combined with Theobromine guarana and not too much caffeine. Rivals the Best By gone products consumers yearn for. 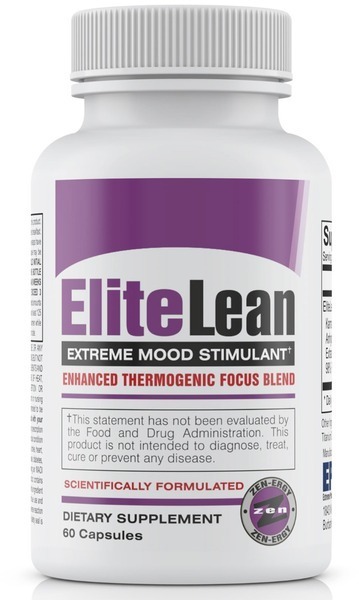 ELITE LEAN Currently is the most incredible feel good energy / weight loss blend available Without a prescription. ELITE LEAN not only elevates mood, alertness and focus levels. ELITE LEAN also attacks stubborn fat levels. Caffeine Anhydrous, is a good base stimulant that sets the foundation for the effective and exotic stimulants, Theobromine, Yohimbe HCL %98 and Alpha Yohimbine. Theobromine is a xanthine alkaloid that is used as a bronchodilator and as a vasodilator derived from Theobroma, the genus of the cacao tree, it is the primary alkaloid found in cocoa and chocolate and is one of the causes for chocolate's mood-elevating effects. Phenibut is a calming, mood lifting, sociability enhancing supplement, that acts as a GABA-B agonist to ease stress and support a positive, social mood. Phenibut can increase the user’s mood, and it allows the user to feel more sociable and relaxed. It’s a great substance for people living a fast-paced, stressful life. Guarana has been used for centuries, as the early natives would use it to make teas that would suppress hunger for weight loss. by kick starting the nervous system to induce the process of lipolysis. This process involves the release of fat into the blood stream where it is used as energy during exercise. Yohimbine HCl is able to promote the continuation of fat-burning, making it an effective supplement for supporting a healthy metabolism It`s also able to stimulate the release of epinephrine (adrenaline) which is important for supporting a healthy metabolism. One of the top benefits of Yohimbine HCl is its ability to help improve mental focus and cognitive performance. Yohimbine’s ability to inactivate alpha-2-adrenergic receptors, allowing for the accumulation of norepinephrine, thereby improving mental focus and energy. Rauwolfia vomitoria Root Extract (std. min. 90% Alpha Yohimbine) “Men will see a decrease in abdominal fat and women will have less fat in the hips” Alpha Y Works by blocking alpha-2 receptors to increase the flow of blood to those areas, for men alpha-2 receptors are typically found in the abdominal area. For women, the glutes or hips and is used for weight loss, enhance athletic performance, and as a stimulant, and to reduce mental and physical fatigue. It is a frequent addition to energy and weight loss products.